Order payments are recorded in relation to purchases orders and returns (credits). Order payments can be created by marking the order or return as paid/refunded, or by marking a purchase invoice or credit as paid/refunded via the supplier financial records. 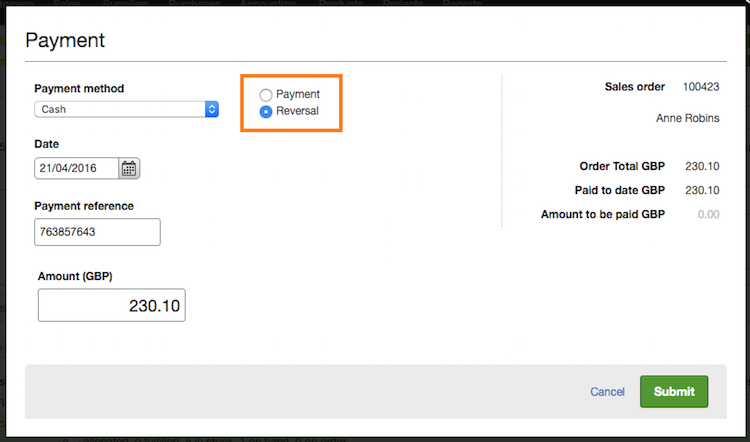 All order payments record the payment method, automatically create the accounting if applicable, calculate the order payment status and are listed on the order payments reports. Payments are created against purchase orders/returns via manual entry against the order or invoice on the supplier financial account. Every time a payment is recorded against an order or return it will be listed at Purchases > Order payments . If necessary, the accounting for the payment will also be created and the supplier financial balance updated in the accounting module. Note : Where a payment is recorded in the accounting module and is not related to an order, no entry is seen on the order payment reports. Click the Take Payment button, or Refund on a sales credit. Or if on a purchase order or credit click Allocate payment . 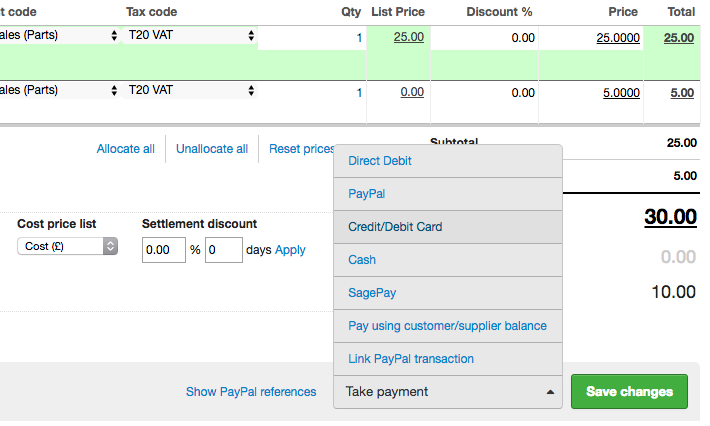 Allocate each payment separately - this means opening each order and marking each one as paid. This will ensure all the orders are marked as paid but will result in multiple entries to the bank account in accounting, making the bank reconciliation process more difficult. Allocate the whole payment to a single order - this means that the payment is recorded and accounted for as a single amount, however, this one order will appear overpaid and the others not paid. You will need to invoice all the orders and distribute the payment across the orders later. Authorised 1 or more auths have been taken which add up to the full order total. It is not possible to amend an order payment after it has been entered. If changes need to be made then the payment can be reversed or cancelled and then correctly re-entered. This ensures that all the payment history and accounting are kept up to date and accurate. Note: Reversing a payment will not refund a payment processed via a payment gateway, only record the reversal in Brightpearl. Click Take/Make payment or Refund . Enter the payment reference . Go to Sales > Order payments , or Purchases > Order payments if it’s for a purchase. Click Cancel in the actions column.